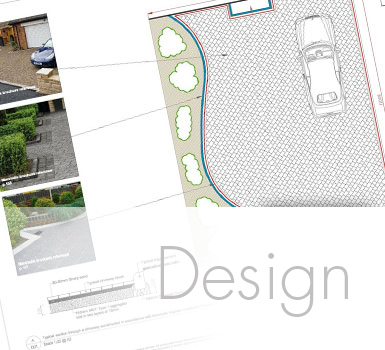 With a fully recognised Design Award A1 Paving can now offer a full design service from scaled lined drawing to a full CAD service. A1 paving will offer an initial consultation to discuss your driveway, garden or landscaping requirements. After they will create the whole concept from start to finish. This new innovative design service is specifically aimed at the home owner who is looking to create a unique bespoke outdoor space. Having worked closely with the customer to create the perfect design, A1 Paving will put a dedicated experience team to work. Having successful completed many projects throughout the North West, this will mean you can relax in the knowledge that your project will be carefully managed and professionally constructed.